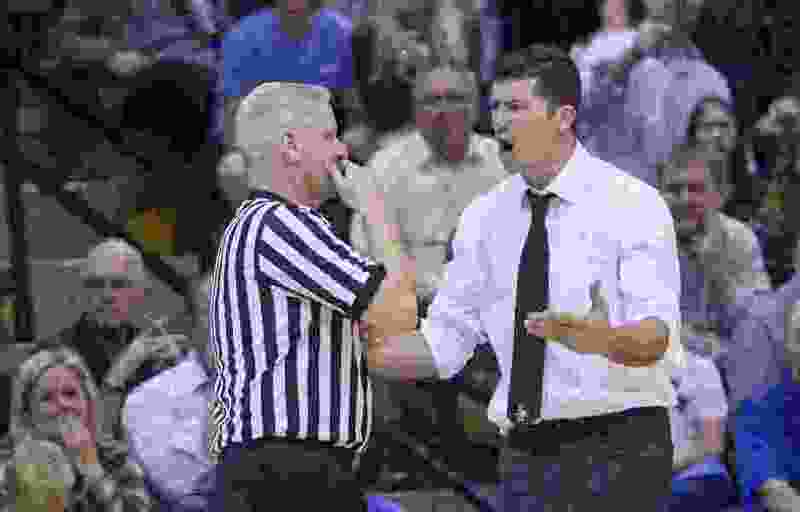 (Leah Hogsten | The Salt Lake Tribune) Lone Peak's Dave Evans argues a call. Lone Peak High School boys' basketball team defeated Pleasant Grove High School 76-75 Tuesday, Feb. 13, 2018. Powerhouse Lone Peak boys’ basketball is looking for a new coach after a seismic change among two of the most well-known programs in the state of Utah. Dave Evans has resigned as coach at Lone Peak, the school announced on Friday, to take the head coaching job at Wasatch Academy, the independent powerhouse that plays a national prep schedule and has placed several recruits in Power Five programs.